For years, America's national parks have provided public breathing spaces in a world in which such spaces are steadily disappearing, which is why more than 300 million people visit the parks each year. 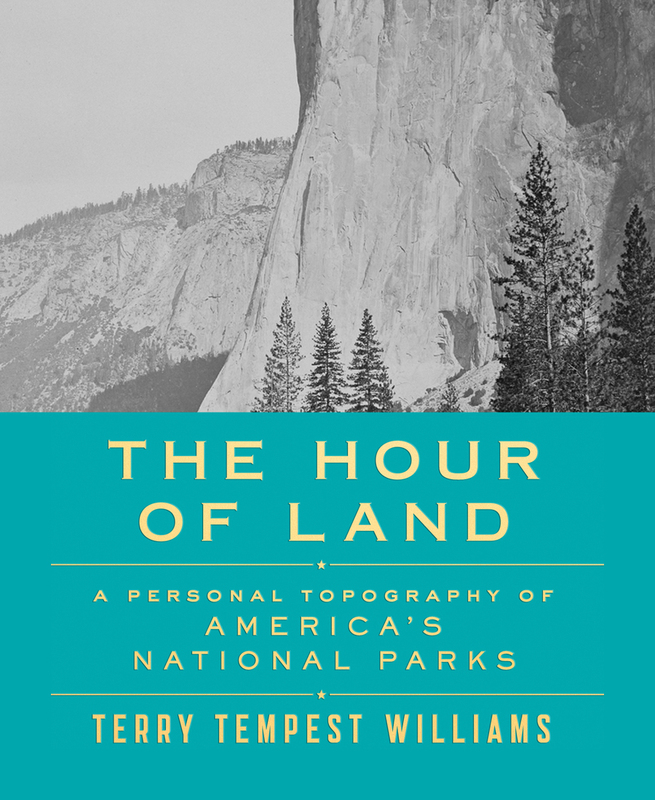 Now, to honor the centennial of the National Park Service, Terry Tempest Williams, the author of the beloved memoir When Women Were Birds, returns with The Hour of Land, a literary celebration of our national parks, what they mean to us, and what we mean to them. Through twelve carefully chosen parks, from Yellowstone in Wyoming to Acadia in Maine to Big Bend in Texas, Tempest Williams creates a series of lyrical portraits that illuminate the unique grandeur of each place while delving into what it means to shape a landscape with its own evolutionary history into something of our own making. Part memoir, part natural history, and part social critique, The Hour of Land is a meditation and manifesto on why wild lands matter to the soul of America. Our national parks stand at the intersection of humanity and wildness, and there's no one better than Tempest Williams to guide us there. Beautifully illustrated, with evocative black-and-white images by some of our finest photographers, from Lee Friedlander to Sally Mann to Sebastião Salgado, The Hour of Land will be a collector's item as well as a seminal work of environmental writing and criticism about some of America's most treasured landmarks.